Welcome to Regine's literary world! After a three-year siege, Lord Kern, the dark mage, is dead. Magic has left Tredare, and life is almost back to normal. For everyone except Maren, that is. Before the siege, an attack by Lord Kern left Maren near death and with a sliver of magic buried deep inside her. Now, for reasons Maren doesn’t understand, that magic has been triggered, giving her the ability to “see” the truth: that her world is nothing more than a magical façade; and that the kingdom’s hero may not be a hero at all. But this gift of sight comes at a high cost. Maren is in constant pain, and fears her own death is imminent. Plus, no one believes her suspicions that another Dark Mage has risen, and that Tredare may be in just as much danger as it was when Kern was alive. With the country’s future in the hands of a man who’s vowed revenge on its king, Maren must convince someone else of the truth. Unfortunately, the only person powerful enough to help is also the one man she can’t trust; the man she almost married; the man who abandoned her and disappeared for three years: Kern’s son. As Tredare crumbles around them, Maren must persuade him to help – before the king is murdered by the very hero he reveres; and before the same magic that gives Maren the gift of sight also takes her life. Pre-order today on Kobo and Smashwords! The prequel, Siege, will be available for FREE starting January 18th! Shari has always loved to read. “Bookworm” may even be an understatement. But when she discovered Georgette Heyer in high school, her love of reading exploded. Ms. Heyer’s books were not only entertaining, witty, and smart, but they saved Shari from the awkward, unromantic teenage years. To this day, Shari’s favorite books all have romance in them. Although Shari spent a good deal of her time at Brigham Young University on the ballroom dance team, she did manage to get a BA in History and English before going on to get a Juris Doctorate. After graduation, she decided her first priority was to be a mom — a career she’s stuck with and loved. In between cleaning, laundry, and homework, Shari writes. Just like with reading, she wants to get lost in a world, whether imaginary or historical. She lives just outside of Salt Lake City, Utah with her husband and four children. 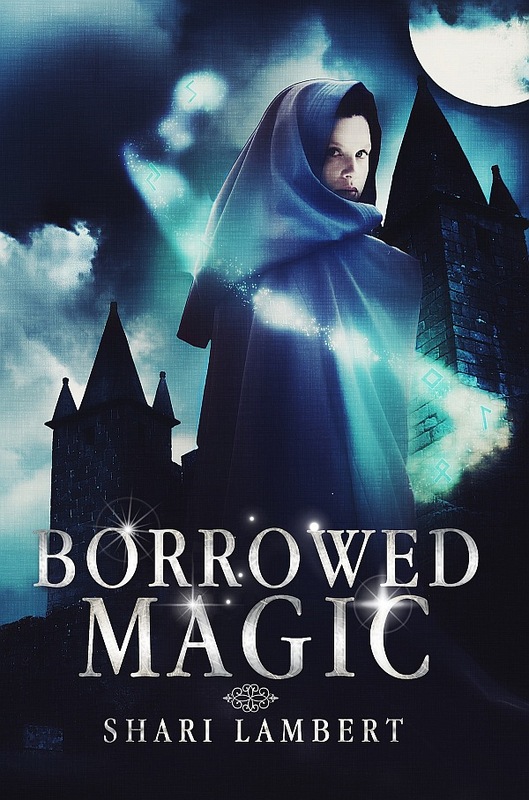 Categories: Cover Reveal, Giveaway, Novels, Promotion & Marketing, YA Fantasy, Young Adult Literature | Tags: Borrowed Magic, cover reveal, Fantasy, fiction, Giveaway, Shari Lambert, YA | Permalink. Coming November 2015: the 1st Annual Virtual FantasyCon! If you enjoy fantasy fiction, this event’s for you! Hosted by Flavour of Fantasy (an online group and collective), the First Annual Virtual FantasyCon will be taking place November 1-8, 2015, on Facebook. Each day will focus on a different genre/subgenre, including urban fantasy, sci fi, Steampunk, paranormal, epic fantasy, and fairytales. Authors, artists, and bloggers will have their own virtual booths for readers and fans to attend and see works, teasers, and more. Guests can chat with the attendees. There will also be giveaways! I’m thrilled to announce that I will be one of the authors at the event on November 8th, the day for YA and Children’s Fantasy. More to come as we get closer to the event date. If you’re interested in joining the event now, here’s the link to the Facebook page! Categories: Events, YA Fantasy, Young Adult Literature | Tags: announcement, authors, event, Facebook, Fantasy, FantasyCon, fiction, November, online, showcase, social media, Virtual FantasyCon, writers, young adult | Permalink. Books by Bloggers Giveaway Event! Parenting Healthy (www.parentinghealthy.com) is hosting the Books by Bloggers Giveaway Event! I’m pleased to say that I’m taking part, along with other authors who will be giving away a copy of their book or even something else. 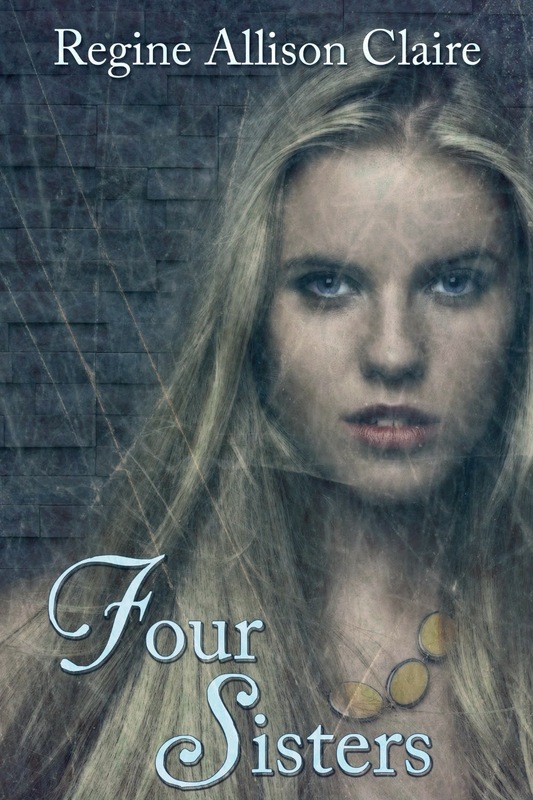 As my contribution, I’m giving away an eBook copy of my young adult novella, Four Sisters. Haven’t read it yet? Join the contest. The winner gets it for FREE from yours truly! Celebrate the New Year with this modern myth. 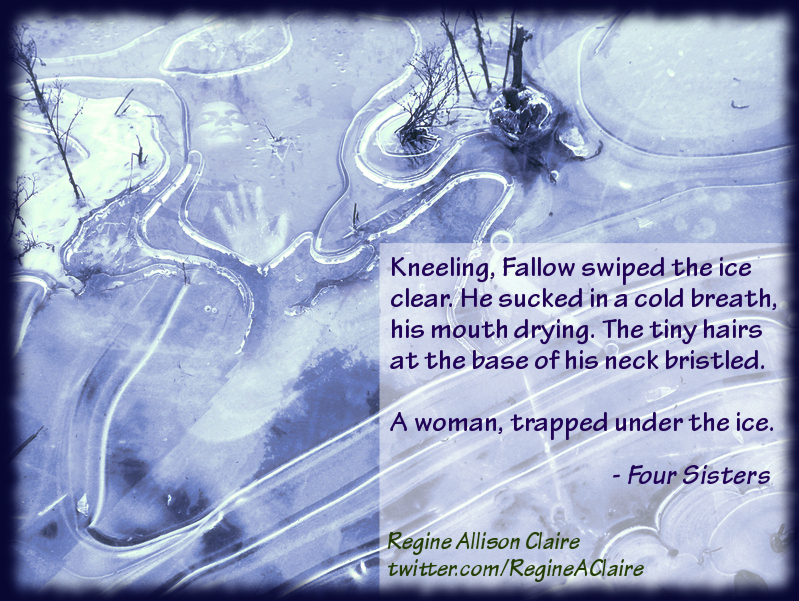 Join Fallow in his greatest task during his strangest winter. A story of self-worth, confidence, and finding the courage to do what’s right, even when everyone else casts a doubt. Fallow Glyph daydreams during class, asks too many questions and pushes the rules. Even worse, he is haunted by strange nightmares and is fascinated by the Border, the monstrous black wall that all villagers in Wyndeswytch must avoid … or face punishment. When his feet lead him to the Border, Fallow is determined to find out what is on the other side. What he discovers is nothing like what he anticipated. Caught in the middle of a violent feud between two families of elemental spirits, Fallow finds he must resolve the conflict if he wants to stay alive. Can an unremarkable teenager become a hero? * Available only as eBook from Amazon (US, UK, Canada), Barnes & Noble, and Smashwords! The winner gets a copy of the Four Sisters eBook. Open to U.S. residents, 18 years and older. To sign up: click on ENTRY FORM below (since I can’t get it to onto this page) and you’ll be taken to the giveaway widget to fill in your email address and name! Categories: Events, Four Sisters, Giveaway, Novellas | Tags: event, Fantasy, Four Sisters, Giveaway, novella, Pagan Writers Press, promotion, YA literature, young adult | Permalink. Happy “Bookversary” to my first publication, Four Sisters. It has been a full year since the novella was released. And while for some it may not seem like a big thing, it really is for me. Until this point, I had tinkered with short stories, novels, and poetry between classes and jobs but didn’t go forth and publish. To tell the truth, most of it was because I got so caught up in the grind of school-work-volunteer-family-school-work-school-life. What very little time I had left was not spent writing, even though I wanted it to be. I found myself becoming a 9-to-5 schedule zombie, scraping together minutes for creativity. Often the outlet was sewing (by hand, to boot) or random things here-and-there, but the writing was lacking. Big mistake. Apparently I get very grouchy and the void lurking within makes itself known. And then it hit me: my mother’s very sudden, very shocking, very depressing death. In the middle of June 2012, I remember waving goodbye to her and my father from the concrete walk of the train station. I had spent several days with them as I usually would, but needed to get home to my work. At the time, one of the projects my colleagues and I had worked diligently on had just hit the fan and we were feeling grief from losing individuals we were trying to help. I was not in the best of moods. Then in the middle of the night on June 30, 2012, my partner and I received the dreaded phone call. Mom had passed that morning in her sleep. Her heart just stopped. No warning. No chance to say goodbye. Just… stopped. Everything that was important at the time went out the window. Family became the everything. And mourning took over. I found I couldn’t focus. It was really apparent when I received a very simple, straightforward email from a colleague and read the first sentence 15 times before realizing I had no idea what it said. The email was in perfect English. It was a simple sentence. My eyes saw everything; my brain processed nothing. And that’s when I turned to writing. Why? It was the only thing I could actually do. Reading emails, news articles, reports — all of it went over my head. But the creative writing thing stuck. It’s funny, almost as if when I’m stripped down to my most basic parts, the storytelling is at the core. And to tell the truth, it isn’t a huge surprise. This isn’t the first time writing has been associated with death in my life. It’s the second, at least. The first was when I was 6 years old and wrote my very first story (or so I remember). It was a story about a boy who lost his mitten. I wrote it because I was killing time at my babysitter’s house, waiting for my parents to pick us up. The day just got longer and longer; the night darker and darker. By the time my parents arrived, the story was done. Then I found out my grandfather died earlier that day. Now the story, his death, and the birth of my writing are forever linked. Incidentally, it’s the same story that my 1st grade teacher submitted to the regional Literary Guild program, then I was chosen to read the story to my peers at the event. At the time of dealing with my grief, I just wanted to be productive, not curl up into a ball every day and let time pass. So I left the work behind and focused on writing. I spent most of my time on an adult novel I had started years before, letting my subconscious take the story to the next level. Somewhere along the way, I decided to branch out and see what else the world had to offer. Peddling back a bit: by the time I was twelve, I knew I wanted to be a published author. One of my schoolmates swears I knew this way before then and, now that I think about it, she’s probably right. Maybe I was 9 or 10. In any event, I spent so much time speed-reading and writing as a kid that I wanted to be like those people I admired. I had ideas, too, and an active imagination. When I was about 14, I gave publishers a go. My mother, bless her heart, helped me prepare proposal packages and we sent them to a few publishers I had pulled from my copy of Writer’s Market. They were all rejected, but nicely. After that, I put the queries aside and focused on improving my skills in school. But then jump to the more recent past of 2013, where I was toiling in thoughts and my head felt like I was stuck in a snow globe someone had shaken over and over, blocking out everything from my sight. I was checking out agents and publishers and what 2013 had to offer. So much had changed since 1997! Now things were at my fingertips in a matter of kb/s. That’s when I discovered submission calls that caught my interest. Two novellas: one adult romance and one that said simply “12 Days of Solstice”. It could have gone anywhere, but something about the Solstice call screamed YA to me. I also loved the idea of writing something for a publishing house called Pagan Writers Press. The calls were for shorter stories — not novels — so I dove right on in and worked on both at the same time. I hadn’t written a short story in a long while and had been working on a novel up until that point. I thought it would be a great time to do something new. Spread my wings. Get some experience in this new, technological, eBook-devouring, Indie and small-publishing world. The solstice story didn’t come as easily as I had hoped. The original idea I had for it didn’t work out in my soul as much as my head thought it would. The premise was about a girl who discovered her Norse spirituality while on vacation with her parents, a trip she didn’t want to take. There was something about her leaving the cabin and getting lost, then getting found by… something. I don’t what anymore. At the end of the day, it just wasn’t happening. The days dwindled. The deadline crept up. Then something hit me. I don’t remember exactly what, but it smacked me in the head. Something about a fairytale-like story. A myth. Fantastical, which is my default genre; my home. I started thinking about this boy who ran into elementals and had a problem. Then I just kept going. I pulled out photos I had found while browsing social media and other websites and started pulling together characters. Fun fact #1: Originally, Fallow’s name came from thinking about one of my friends, Fallon. Her name is fabulous and fits her so well. I didn’t want to totally steal it, though. Then the “ow” end came to mind. I’m pretty sure it came from the recesses of memory, after I’d heard it in passing or came across it in a story. I was certain it was a real word. When I looked it up, I nearly fell over laughing. The name suit perfectly in its own way. So it stuck. Thanks for being an inspiration, Fallon. The first time but not the last. Fun fact #2: The appearance of all of the sisters in the story are derived from photos I particularly loved. I can’t share them because of copyright, but they’re from photo shoots, costumers, stock… wherever. I scoured my options and threw collages together for each family, setting up sister after sister. They came together pretty easily. Even their names weren’t a far stretch. Then again, I love the naming process. The story did not start with ease. It took me a little while. I had to switch rooms, positions, and approach just to get it. Then a creepy image took over. Once I got through the first few paragraphs, the rest of the scene flowed. Then the rest of the story. It took some patience, believe me. But by the end, I was confident and thought I had pulled something fun together. The editing process didn’t kill me half as much as I thought it would, and I’m still learning even now. But I did the best I could and submitted it. The waiting was worse. Would the publisher hate it? I was no stranger to rejection, but I’d hoped for something positive. I finished the other novella at around the same time. Ugh x2. The next month, I checked my email late at night. I freaked out. Blinked. Blinked some more. Checked the submission manager. Sure enough, I wasn’t going blind or delusional. The first thing was to email the publisher back. And call my partner with an “Oh my God, oh my God, oh my God”. After so long of being out of the game, and scrambling to catch up, it couldn’t have made me happier. A complete stranger took something of mine on. Then the edits came around. I hadn’t dealt with an editor in the professional capacity before so it was a new experience. Not as painful as I thought. Then the proofreading. Again, not as painful. I think waiting for the cover art was the scariest part. I put my faith in the lovely Angie Mroczka (owns PWP) that she’d come up with something amazing. The ideas I had for the cover weren’t as helpful as I’m sure they could’ve been. I’d never had to worry about cover art. Plus, visual art isn’t my strong suit. Neither was sifting through stock photography for something that’s awesome. Though I’m trying to get better. Gorgeous. Loved the cover from the first moment. So much better than I originally had in my head. Again, another first. Of course, it was December 20. And I was supposed to be traveling by train that day, visiting family. Needless to say, it was a very busy day. I couldn’t stop checking social media sites and the internet in general. Or Amazon. I can’t even begin to count how many of the hits that day were from one of my computers. It’s no better now. And so was Regine Allison Claire. That was how I said farewell to 2013. This was the very first, traditionally published story of mine to be picked up and put out into the world. Since then, I’ve had other novellas and short stories picked up for this pseudonym and my two others. But this — this — is the one that started it all. The one that gave me that boost of confidence. The one that suggested complete strangers who owed me absolutely nothing could be willing to take a shot on something I wrote. I wouldn’t say that I’ve had a major struggle with confidence and self-esteem, but I won’t say that I’ve been a stranger to them. We meet somewhere in the middle. I was always that annoying kid in school who the teachers praised for the great work, but that didn’t go to my head. I’ve always wondered what the rest of the world would think. I still do. Each new story is another test of my nerves and hope. So, when something like this — after being out of the storytelling thing for so long — gets picked up after what I considered a long shot, it does some pretty cool things. And I’m sure so many of my fellow writers know exactly what I mean. This is a good time for us to give life a smile and pat ourselves on the back. Just because we need to celebrate the firsts. Our little steps in the big world. Our risks and those times we doubted ourselves meanwhile someone else was willing to take it on, no matter what they saw in it. But there’s just one thing… now that the foot’s in the door, you either yank it back out or inch the rest of your body through. Inch is right. Though even shorter since I’m Canadian. It’s more like centimetres. But I can’t make a verb out of that. 1. I have 4 YA flash fiction stories being published in 2015, all in anthologies through Pagan Writers Press (PWP). That’s another post for the new year. 2. I will be working on a trilogy. 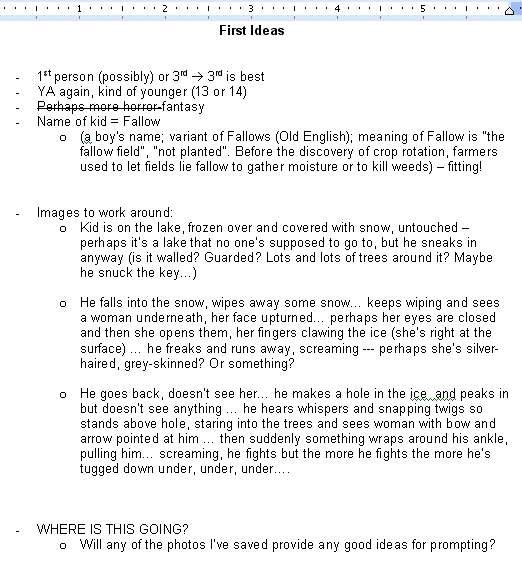 The first book, Family Secret, is semi-outlined. It needs work, as much as the rest of the trilogy does. The ideas were flying out of my head in 2014, and they made it to paper. They just haven’t come out in story form yet. But in the spring, I intend to get on it. I know enough about the characters get started and their school will be based off my alma mater. At this moment, it is called the Within series. Book #2 is Possession and book #3 is facing an identity crisis. Though it seems to have been seriously pondering Unbound for a title. The titles are significant, but again… another post for another day. And that’s how we celebrate around here, with thanks to Angie, PWP, both my parents, my partner for putting up with the long nights and crazy creative moments, and most of all everyone who takes the time to read and review my work. 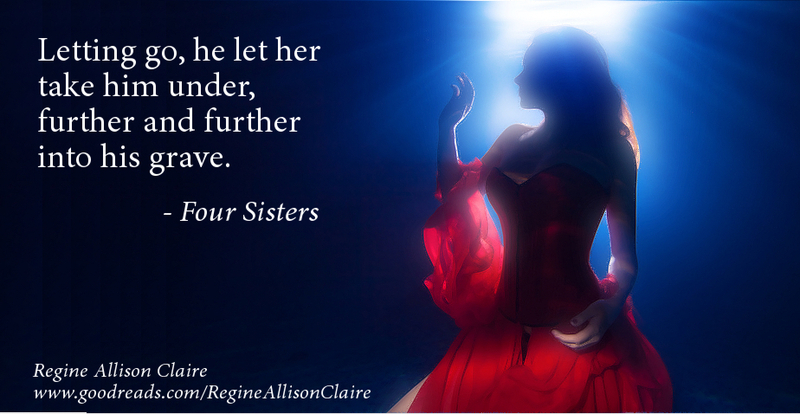 Click here to find out more about Four Sisters, including links to where it can be purchased. Categories: Four Sisters, Novellas, YA Fantasy, Young Adult Literature | Tags: Family Secret, Fantasy, Flash fiction, Four Sisters, novella, Pagan Writers Press, Possession, publication anniversary, published, Unbound, Within series, YA literature | Permalink. Pagan Writers Press is having a huge sale for Cyber Monday! Almost all the books in the catalog have been discounted. Here are just a few of the Young Adult (or YA/NA friendly) selections, though there are titles available in almost every genre! Dark Musicals Trilogy by Laura DeLuca – Prices reduced on the entire series! And after those, pick up Scrooged for only $.99 to round out the set!! Categories: Novellas, Novels, Promotion & Marketing, Short stories, YA Fantasy, Young Adult Literature | Tags: Cyber Monday, Fantasy, Flash fiction, Four Sisters, literature, novel, novella, pagan, paranormal, promotion, sale, science fiction, series, Short stories, YA literature, young adult | Permalink. And the snow has sprung. Er, dumped. 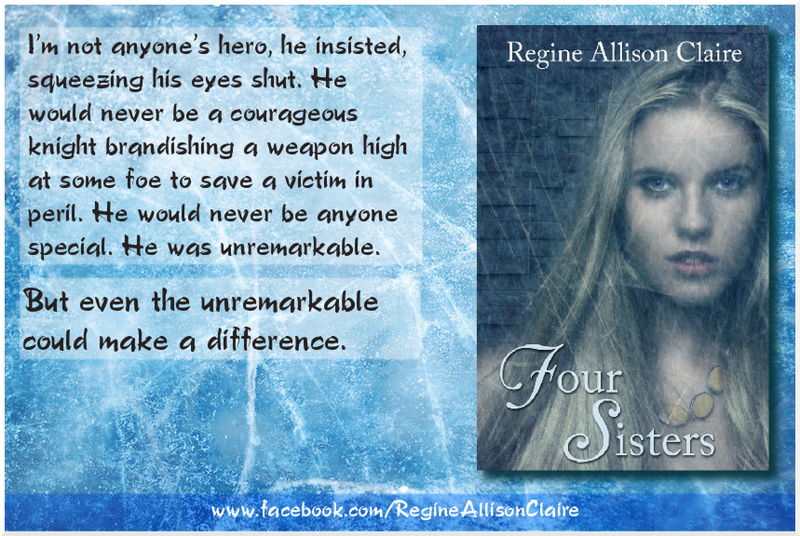 With that, it’s the perfect time to share new promotional material for my debut, Four Sisters! Released last year (December 20, 2013, to be exact), the novella is perfect for the cold, wintery days some of us have been experiencing in the northern hemisphere. It takes place in the fantastical town of Wyndeswytch during the winter, and fifteen-year-old Fallow Glyph is at the centre of the story. But why babble on when I can just post the blurb? Since I started blogging after its release (and haven’t given it the love it deserves since), I’ll be posting all about the story in December, with some insights and background. For now, I thought I’d share the promo stuff I worked on recently. After seeing so many of the quotes and pictures other folks have been posting, I thought I’d give it a go. Out popped these, which I’ve started sharing on Twitter and Facebook and will continue posting for the next few months, and whenever they feel like popping up during the rest of the year … realizing that, yes, stories about the snow are bound to be unpopular in the likes of July than now, when so many of us are bundling up and freezing our toes off. Black Friday & Cyber Monday Sale Price! Guess what? The eBook is on sale! $0.99 @ Amazon, from now until Tuesday, December 2 (or $1.11 @ Amazon.ca). It’s also available at Smashwords, and Barnes & Noble. Or stop by my Facebook or Twitter and drop a line! 1st Anniversary in T-22 days. Categories: Four Sisters, Novellas, Promotion & Marketing, YA Fantasy, Young Adult Literature | Tags: Fantasy, Four Sisters, marketing, novella, Pagan Writers Press, promotion, publication anniversary, published, quotes, winter, YA literature | Permalink. What lay within the bounds of human knowledge and was relatively familiar could be reasonably and comfortably accommodated, no matter what its size. But that which lay outside the bounds of human knowledge was monstrous and awesome. Explanations for the chaotic, precreation nature of the world and the universe, the vast fissures, the threatening geographical features of the earth, the unexplored regions, and the disappearance or transformation of those who ventured into the unknown were accommodated in the concepts of the monstrous. Those beings that existed beyond the human realms of order were the constant threat that challenged the human world and had to be appeased, controlled, banished, or defeated. I can’t remember when exactly I got this book, or from where, but it’s been sitting on my shelf for a few years. My partner says I received it as part of my Children’s Literature class when I was in university, which isn’t impossible since I received a huge box of books for that one class alone! In any event, I finally pulled it out to consult it. Originally, I was looking to get some ideas for one of the flash fiction stories I’m working on, Shift. The intention was to obtain a little extra information on werewolves. While I found it, there was more. I came out with the idea to explore the ideas of a were-bear in another flash fiction story, Burden. And then I couldn’t stop looking. It’s been hanging around my desk while I’ve been working on these short stories and every couple of days, I can’t help but pick it up and skim over it. Other than discovering that “were-bears” are a thing (despite the fact that I giggle because it’s way too close to sounding like Care Bears), this book is packed with useful information, names, geographical references, and other info. In the introduction, Rose reveals that material was drawn from a variety of sources: encyclopedias, dictionaries (of mythology), ancient and medieval texts, classic literature, folktales and folklore, chronicles and annals of historic events, fables, chapbooks, nursery rhymes, and surveys (genealogical, heraldic, anthropological, topographical). Way cool. It makes me want to have been there writing it with her. Then again, I’m a sucker for research projects … especially any that include ancient texts. YAY! Reading it reminds me of watching the TV show, Charmed, or Hercules: The Legendary Journeys (the Robert Tapert/Sam Raimi version with Kevin Sorbo and Michael Hirst Hurst) – which is cool because I enjoy those shows. And there’s gorgeous artwork included, taken from a variety of sources, just to give your eyes a break from the text. It’s also easy-to-read and accessible, good for everyone. It’s a big book and offers a little on everything, including monsters like Champ, a cryptid who is said to live in Lake Champlain between Québec, Canada and Vermont, USA. (A fun little tidbit for me, since I live in the province next door.) And I’m happy to see the likes of Grendel (and Grendel’s Mother) from the ancient tale Beowulf included. 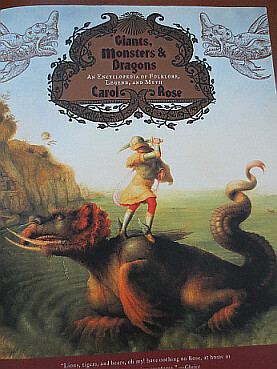 Tolkien‘s Ents and Shelob are in it, too, along with Lewis Carroll‘s Jabberwocky! In the back are a “Selected Bibliography” for further reference and Appendixes categorizing the beings, including “Beings associated with weather”, “Beings from literature”, “Heraldic beasts”, “Beings by country, realm, or people”, and a long list of others. Useful. Though I think my favourite thing is how it touches on so many different areas of interest and subjects. History, anthropology, linguistics, geography, religion, spirituality, mythology, literature … it’s a little bit of a lot of things rolled up in one nice, pretty, neatly bound volume that fits well on any shelf without feeling like a brick. It has an international feel, taking the reader on a journey to peek inside all of the different human cultures. This book is one that ties us all together; for as different as we may seem, our monsters aren’t all that different. Dragons, giants, shifters, and similar creatures are everywhere! They might have different names but they share a lot in common. It’s a gentle reminder that while we fight each other and believe we’re completely different, we’re actually very much the same. Now, I might be terribly biased because I fell in love with cryptozoology as a teenager, but I’d recommend this book to anyone – everyone – in the speculative fiction world who writes about creatures and beings, whether you pen fantasy, horror, paranormal, science fiction … whatever. You know, just in case you need a little help or inspiration. Or if you just like looking at the pictures and awesome names. Categories: Burden, Flash fiction, Shift, Short stories, Writer's Resources | Tags: anthropology, Burden, Carol Rose, creatures, cryptology, culture, dragons, fable, Fantasy, Flash fiction, folklore, folktales, geography, giants, history, horror, inspiration, legend, linguistics, literature, monsters, myth, mythology, pagan, paranormal, religion, resources, science fiction, Shift, Short stories, spirituality, supernatural, writing | Permalink.